If you want to have a wooden fence which always looks good, there are some things you can do. For the installation you can contact and hire professionals but for the cleaning and future maintenance you will have to take care yourself. You will have the chance to enjoy your fence for many years, in case you dedicate enough of your time and efforts to its proper maintenance. There are a lot of things which could ruin the good looks and structure of your fence, so it is important to know what measures you can take to prevent any damages. This is something you will have to do before the installation of the fence. In case you hire professionals for the job, you can ask them to use pressure-treated wood for the posts. Since they will be put in the ground they will be constantly attacked by different insects, which is why it’s best to have more resistant posts. The moisture could have a negative impact on the wood as well, so make sure that your fence has pressure-treated posts. When it comes to wooden fences, the rotting of the material is definitely one of the biggest problems. There is a way to avoid it and save yourself a lot of troubles by simply applying a wood preservative. The effect of the product will be stronger, though, in case you carefully clean the surface of the wood and cover it with mildewcide first . Keep in mind that you have to leave the wood preservative to dry for a day or two. Some people don’t even notice that their sprinklers are making their wooden fences wet. It doesn’t matter how resistant the wood is when it is constantly exposed to water. To avoid the complications and lower the risk of wood rotting, it is best to keep the sprinklers as far as possible from your fence. The weather conditions will definitely have a negative impact on your fence, so it is a good idea to repaint from time to time. Every few years you can get a gallon of paint and freshen up your wooden fence, which will help you preserve it in good condition. This way you will be able also to erase all dark stains and grime and protect the wood for longer. Maintaining your wooden fence won’t be so hard for you, if you simply follow the previously mentioned tips. Inspecting the condition of your fence from time to time is the best thing you can do, because it will give you the chance to notice immediately if there is some kind of problem. 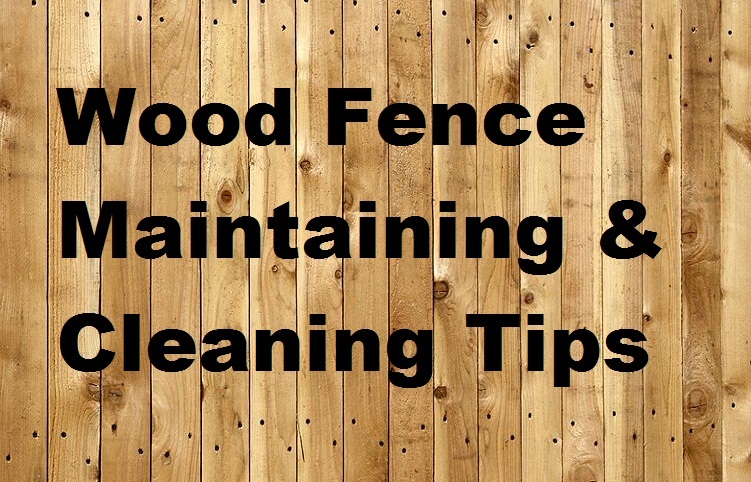 The regular cleaning and checking of your wooden fence will be more than enough to preserve it for many years. The article is kindly contributed by HomeMates Handyman. Anna is a Guest Blogger. She is expert of Home cleaning service content. She has more than three years experience in this area. Also she is writing on world class blog and newspaper.